Our Branch is Now Recruiting! 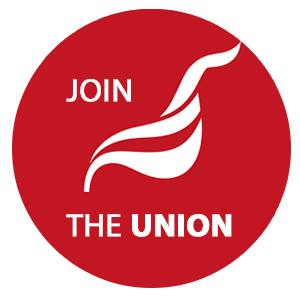 The Unite LE1111 Housing Workers Branch needs a part-time, self-employed Organiser to help us make an even greater impact on behalf of our members in the housing sector and beyond. The Organiser will help members and reps to encourage more militant and self-sufficient union organisation within their workplaces. The Organiser’s activity will be directed by a work programme agreed with the Branch Committee. This will mainly involve operating intensively at one or two key workplaces at any given time. They will work with existing workplace reps and/or recruit new reps if necessary, to help build an effective team of largely self-sufficient activists schooled in the organising and mobilising approach. Additional duties that the branch Organiser might be able to help with include preparation of the quarterly newsletter, maintaining the website, liaison with the press, organising events, fundraising, and finance work. The post would therefore require a person with a track record of organising, but with strong communication and administration skills. Please click the Download button to access the full application pack.